The craft scene is notoriously fickle, but what separates the fads from the long-term trends? Regardless of how you feel about the various predictions for what 2019 might hold, there’s no doubt that craft beer is highly driven by trends, with drinkers constantly on the lookout for the next big thing, and brewers desperate to carve out relevance in a competitive market. If the constantly shifting trends within the so-called beer bubble frustrate you, I empathise – I’ve been there. 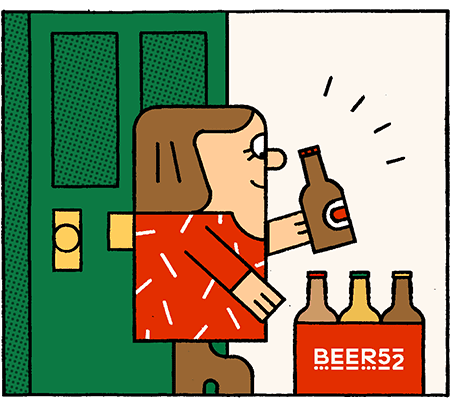 From the fleeting nature of beer styles that are popular one day and forgotten the next, to the fear of missing out and inevitable hyperbole and subsequent anti-climax, the whole thing can be pretty exhausting. Chasing trends is a rollercoaster, but this is also their inherent attraction. While the lows may be deep, the peaks can produce moments of joy and euphoria. And this is the reason many of us are fans of beer in the first place. Although there are those who see all trends as shallow fads, I feel that without them the modern beer world wouldn’t keep turning. At least not at the breath-taking pace it has been over the past few years. While the majority of beer drinkers, myself included, are content to watch the ebb and flow of trends, leaving a minority of what you might call “early adopters” to keep themselves oversaturated with excitement, it’s through their enthusiasm that many small yet brilliant breweries get the attention they deserve. It’s their experience, whether via check-ins on apps like Untappd, or sharing through Twitter and Instagram, that often gives us our first look at new trends. In 2018 we saw a trend emerge in a way that was quite different to the norm. A style was born from an idea in a single brewpub, located in California’s Bay Area, which shot to prominence through the brewer sharing his technique via the internet. What’s perhaps most fascinating, is that most brewers attempting to replicate this new style did so without ever tasting the beer that kickstarted it. When Kim Sturdavant of San Francisco’s Social Pub and Kitchen dropped an enzyme called amyloglucosidase into a batch of IPA, he probably didn’t expect the hundreds of emails that followed. But that’s exactly how one of 2018’s biggest trends—Brut IPA—got its start. Amyloglucosidase works by breaking down longer-chain sugars, which ordinarily yeast would ignore during fermentation as they are too complex for it to digest. However, when the enzyme is applied, it makes those sugars accessible during fermentation, meaning more of them get converted into alcohol and carbon dioxide, resulting in a beer with a bone-dry finish and almost Champagne-like spritzy quality. Hence: Brut IPA. Word soon spread of Sturdavant’s creation from the doors of the relatively small brewpub where he worked, and soon other brewers began to ask for the recipe. Initially the style spread around San Francisco and the neighbouring city of Oakland. But soon he began to hear from brewers out of state and eventually, emails began to flood in from other countries, all desperate to replicate the style that whoever tasted seemed to rave about—yet, bizarrely, without tasting it themselves. Now Sturdavant has gone as far as to set up www.kimsbrutipa.org so that he no longer has to deal with endless requests for his trade secrets and he can get on with the important work of brewing. As for the style he gave birth to, it’s now being replicated all over the world. But what’s the value to a brewery in chasing a new trend such as this, especially when you’re doing so based on an idea as opposed to a real-life sensory experience? Gipsy Hill certainly doesn’t mess around when it comes to capturing the zeitgeist. It was one of the first UK breweries to commercially brew a Brut IPA when it released Napa earlier in 2018. 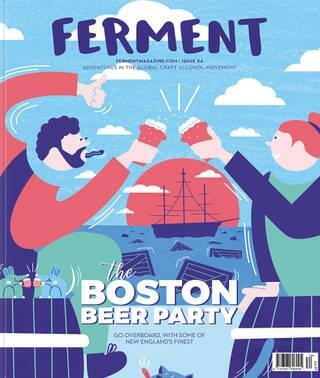 It’s also adopted other key trends in recent times, from New England IPA to adopting the currently favourable 440ml can. It’s perhaps too soon to tell if the Brut IPA will be a mere flash in the pan, or if it’ll gather enough momentum to muster any kind of longevity. One style that seems certain to stay the course, however, is another new style of IPA which emerged over the past few years: the New England IPA, now colloquially known as the NEIPA (and pronounced “nee-pah” by many). But how has this particular variant of the IPA managed to capture the interest of so many? Perhaps it’s the combination of juicy, often verging on sweet flavours, with little to no bitterness in the finish. It’s quite the opposite of the often one-note flavour found in many Brut IPA clones and, most importantly, it’s highly accessible. Bitter flavours can be off-putting, and many palates need to adjust to the sensation before it becomes enjoyable. NEIPA skips that, taking you straight to juicy heaven..
Like Brut IPA, it’s a style many brewers have been falling over themselves to replicate, and yet it feels as though NEIPA has been around long enough to transcend mere trend and become something more meaningful. However, trends come in all shapes and sizes, and not all brewers are drawn towards the hazy, juicy appeal of a NEIPA, or the skittishness of Brut IPA. Some brewers are turning to the classics, and one trend that became prominent within craft beer in 2018 was lager. For a while, both mass-produced American light lagers and equally dull European fizz were held up by some brewers as enemies to rail against. Not all lagers are created equal though and, as the world’s most popular style, it was perhaps inevitable that it would make the kind of comeback that lovers of craft beer would appreciate. “I’d rather be known as someone who does one great beer than five good beers,” Reece Hugill of Hartlepool’s Donzoko Brewing – the flagship of which is a Helles-style lager – says. Although Hugill does like to experiment by brewing Flanders reds and hazy pales, it’s in his Northern Helles that he puts most of his stock. He admits that, being a newcomer to the scene, his focus on lager has made business tricky. Sadly, yet inevitably, not all trends manage to stick. One of my favourite styles is black IPA, but its tough to find on the regular, let alone a good example. I’ll never forget my first one –Thornbridge’s Wild Raven – a beer that for me was a near perfect marriage of dark malts and intensely citrus and pine-driven hops. However, with the style flagging in sales, it became a less common fixture in the pubs I frequent. Another favourite of mine, Firestone Walker’s Wookie Jack, was discontinued completely due to poor turnover. Some noble brewers still put stock in the style though, and more often than not these are breweries small enough that they’re not releasing huge quantities into the market. One example is Berkshire’s Elusive Brewing, whose owner and brewer Andy Parker still finds the time to dip into black IPA brewing on occasion. Black IPA’s fortunes may have been rooted simply in the fact that the majority of drinkers typically order pale beers when presented with a wealth of choice. This is one advantage Brut IPA has then, but only time will tell if consumers adapt to it as they have with the hazy, juicy, NEIPA. However, while Brut IPA is en vogue, it might be worth breweries having a crack at making their own, at least financially. When looking at this closely, what makes a trend within beer becomes more obvious: drinkers are constantly on the lookout for something both delicious and exciting. This in turn drives the industry on, and whether or not the latest trend is to your taste, it could be that particular trend that drives the emergence of the next one, which could be your new favourite beer. It’s important to many brewers to chase the latest trends in order to carve out a little slice of relevance, so their business can try and stand out in a market that’s home to 2500 competitors nationally. However, is that as important as creating something delicious that beer drinkers can enjoy? Gipsy Hill’s Sam McMeekin certainly doesn’t think so.